Home "Mommy Fail" Posts funny healthcare insurance life parenting parents How Humana + CareSource Destroyed My World With One Word. I am so sorry to the long time readers who've noticed the absence of my usual humor posts on parenting. I've been living a nightmare inflicted by Humana-CareSource Insurance. It's been horrible. I've done all the fighting I can do. I've escalated the issue as high as I can and with no more avenues for resolution through Humana, I thought it was finally time to share my story of how CareSource destroyed my world in one word, caught them holding my money and taxpayer money wrongfully and then, got away with it because there was no one to help me. I stood there, staring blankly at the receptionist in my son’s pediatrician’s office. That can't be? There must be some mistake. I've paid the premiums. I just picked up a prescription. I’m still receiving EOBs from doctor appointments last month. Before I could answer, the receptionist hung up the phone and said, ”According to CareSource your insurance was terminated on May 31, 2016. I’m sorry. If you want your son to be seen today, you will have to self-pay. The office visit is $85. Depending on what tests the doctor orders, the cost goes up from there." Tears filled my eyes. I thanked her for her help and opted to straighten out the issue with Humana first, and then call for an appointment. Devastated, my son and I walked out of his pediatrician’s office hand-in-hand. The tears changed to anger. By the time my son and I got home from the pediatrician, I was fuming. Never did I receive anything from Humana about my coverage being terminated. Once my son was settled, I called CareSource. When the member services representative answered the phone, I drew in a deep breath, and as calmly as possible said, "I’m furious beyond words, and you don't get paid enough to deal with me, please, send me to your supervisor." Since joining CareSource, through the State of Kentucky’s Healthcare Exchange, Kentucky Kynect, I’ve had nothing but problems. 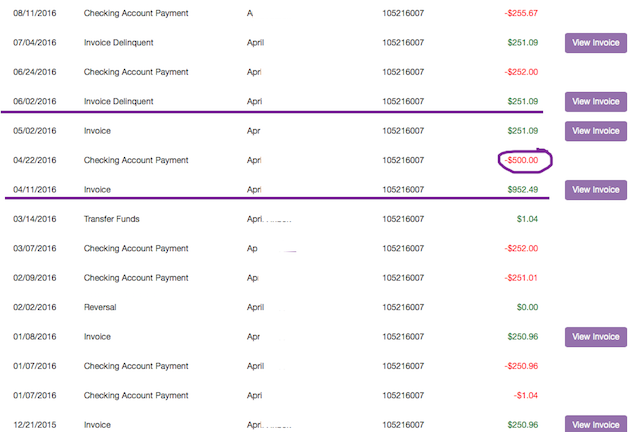 (Here is a screenshot of proof of monthly payments, and the errors on their end reflected in the invoice amount. I paid $500 in April to cover April and May Premiums. To this day, May has still not been reflected. I hung up and called Kentucky Kynect. “How may I help you today, Mrs. McCormick?” Her voice was warm and kind, I thought I might cry. Coming up from the dungeon of the insurance dark world, I needed her kindness more than she knew. I explained what happened with CareSource and that I need to have my family’s insurance coverage reinstated. Sounding slightly annoyed, Tori, the Kynect Rep said, "I don't know why they tell people that, we can't reinstate your coverage. We can't do anything for you until open enrollment. Plus, our system shows you as currently covered with CareSource. Until we get termination papers from Humana, the system won't allow me to open a new case for you. When did you say your coverage was terminated? "I’m sorry. There’s nothing I can do on my end.” I could tell by the tone in her voice, she genuinely wanted to help. “Is it possible to have a three-way a call with CareSource or ask them to call us? " As the phone rang through to Humana, my heart was racing. Was this nine-month long nightmare about to end? I cleared the verification gate with Humana, then merged the calls. I introduced, Tori, the Kentucky Kynect rep to the CareSource rep, then, for the twelfth time, I explained the situation. I walked the rep through my account, showed how each month I paid my premium and that I was canceled incorrectly. The operator came back on the line to let me know her supervisor said I was "termed out correctly, effective May 31, 2016." I thought my head would explode with fury. “Are you serious? A Credit? NO! I want my insurance. Not a refund.” Every ounce of my body was fuming mad. How could this be happening? It felt so good to hear someone stand up for me. The past nine months have been nothing but me against CareSource . After two hours, three supervisors and an emotional rollercoaster from hell, the ugly truth came out; Humana canceled me for non-payment effective May 31,2016, yet, was still accepting the monthly premiums from both Kentucky Kynect and me. Neither of us had been notified of the plan termination. Nor was I made aware of my account “credit”. I couldn’t believe they were getting away with this. I need insurance. I need to take my son to the doctor. With no other options for having my insurance reinstated immediately, the three of us hung up. On Saturday, October 1, 2016, I received my first letter from CareSource since July 5, 2016. It was dated Monday, September 26: the same day I took my son to the doctor. I was being notified my insurance was terminated effective May 31, 2016. Two weeks later, CareSource refused to reinstate my insurance. Even though I had done everything right on my end. My credit for premiums paid after the termination date is being refunded and can be expected in thirty-days. There is nothing else I can do. 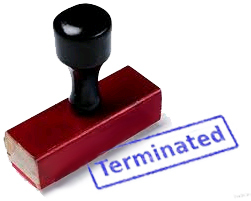 I'm now responsible for all doctor bills after the termination date. As well as finding new insurance without the help of Kentucky Kynect or pay tax liability fees for not carrying insurance. Needless to say, I'm lost. I feel like I have failed my family. We can't afford to get insurance outright. 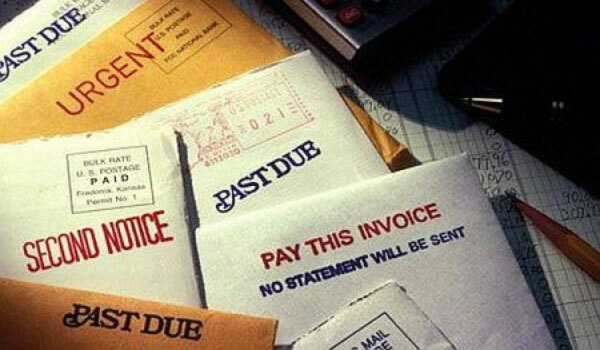 There's nowhere to turn, and in no time at all, the doctor bills from the summer will begin mounting. Suffocating me. Just in time for the Holidays. UPDATE: This post was published at 12:20pm October 19, 2016. I received a call from a "very concerned" Rep from Humana at 3:09pm. I essentially told her everything mentioned above and answered a few of her questions. The conversation ended with her promise to look into my account and address my concerns with the CareSource team. While I am happy that another set of eyes will review my account, I'm still pissed it took putting my family's dire insurance issue out there for the world to see to get Humana's attention. Bottom Line: No fix. Still pisssed. UPDATE: (10/20/2016) Today, a rep from CareSource reached out. CareSource has admitted fault, albeit reluctantly, with an explanation that, somehow, placed blame on both of us. They offered to reinstate my insurance effective immediately. What transpired after those words were said will require a separate post, that I'm now working on. Just know, it's incredibly important to me that my situation NEVER happen to another person. I insisted on explanations about each and every issue, and how CareSource planned to fix policies moving forward. Bottom Line: Insurance reinstated. Still Pissed. Not over yet. UPDATE: New post: "I Fought An Insurance Giant And Won"